When in doubt, simplicity always reigns supreme ! 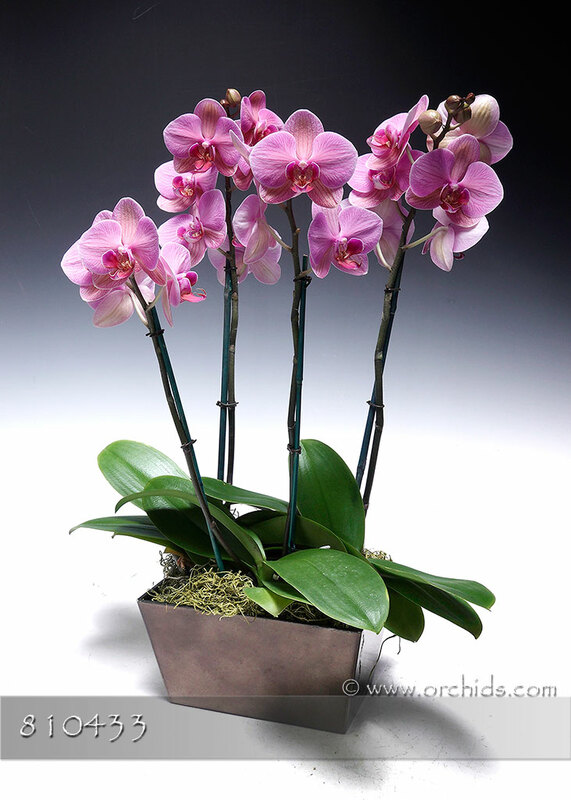 Our Ultimate Simplicity Gift Arrangement is perfect for the holidays and beyond, overflowing with multitudes of stunning pink Phalaenopsis. Each plant for this gift will be hand-selected by our designers for its abundant presentation, then they will be creatively arranged in our euro cachepot to achieve their maximum impact. Standing 22” in height, your gift will arrive lovingly finished with a soft bed of jade Spanish moss.